My sister Mary has been making this “salad” for at least 25 years. We always called it “green fluff” or at least I did! 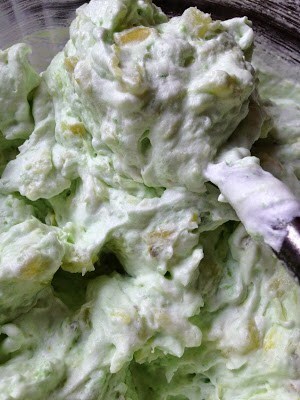 I recently thought about “green fluff” and realized I haven’t eaten or made this salad in many years. So, I decided to throw caution to the wind and make it again….I was also very curious to see if “green fluff” was still as good as I had remembered. It definitely was. The directions for this salad are so easy that I’m sure a five year old could make it. 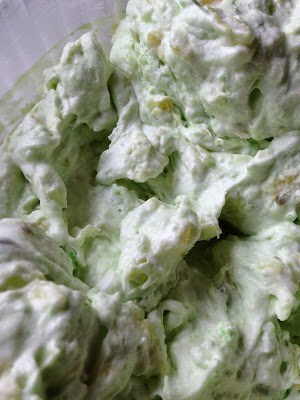 One package of pistachio flavored (dry) pudding and pie mix is combined with a tub of cool-whip. 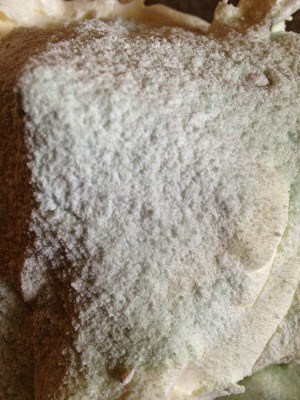 Add some mini marshmallows, a large can of drained crushed pineapple and you’re all set. I like to add some chopped pecans, preferably toasted, because I like the crunch and nuttiness they add. I had no idea this was called Watergate salad but I sure have loved it. 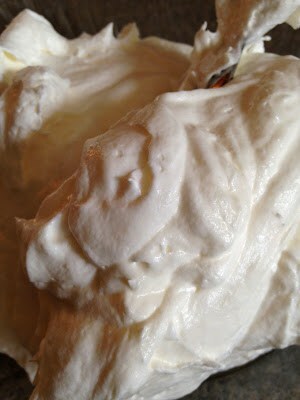 Pinning it to make later:) Thanks Lynn for sharing a great recipe.